Extra Rs. 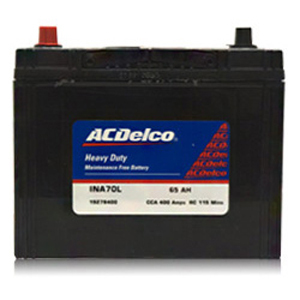 50 OFF on AC Delco Car Batteries. Use Coupon BBCAR50. Pro-Rata: New battery at pro-rata warranty (Pro-rata warranty discounts will be applicable on prevailing MRP of the new battery). 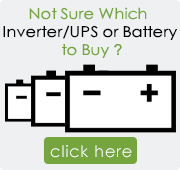 NOTE: For this battery Manufacturer warranty is not available for commercial vehicles. The minimum order value to avail the EMI payment option is Rs 2,500 (for Axis Bank) and Rs. 1,500 (ICICI, Kotak Mahindra, HSBC and Standard Chartered Bank). Final EMI is calculated on the total value of your order at the time of payment. 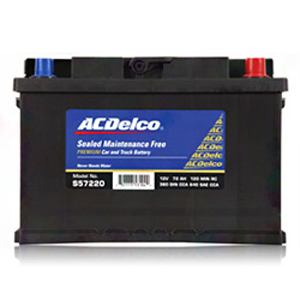 AC Delco Heavy Duty Maintenance Free Batteries (HMF) are the high performance batteries with long life. 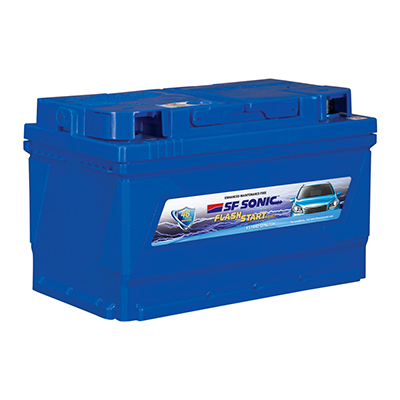 These batteries use a special hybrid alloy system that minimizes water loss, making the battery maintenance free. Minimizing the water loss also helps in increasing the life of the battery. One of the most important features of these batteries is high cranking power. Long Life - The robust plate design provides extra strength and improved corrosion resistance. Glass- Mat lined enveloped PE separator - Virtually eliminates electrical shorts caused by vibration and shedding of active material. Solidium Weld System - The solidium weld system (a patented alloy mix) eliminates weld corrosion. Ribbed container surface - Makes the battery with stand temperature extremes and resists shock vibration damage. Higher Cranking Power - 19mm lugs and largest inter-cell welds reduces electrical resistance and provide increased cranking performance. Maintenance Free - The special hybrid alloy system minimizes water loss, making the battery maintenance free and promotes longer life. Ready to fit - Factory charged, wet shipped and ready to fit. Leak proof - Labyrinth Type Duplex Cover that makes the battery safer and leak resistant. Disclaimer: Product names, logos, brands, and other trademarks featured or referred to within the batterybhai.com website are the property of their respective trademark holders. These trademark holders are not affiliated with BatteryBhai, or our website. They do not sponsor or endorse our website, materials or services.